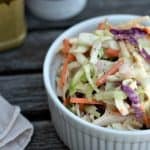 It seems at every Summer picnic there’s always plenty of Beans and Potato Salad, but what about a good Coleslaw? 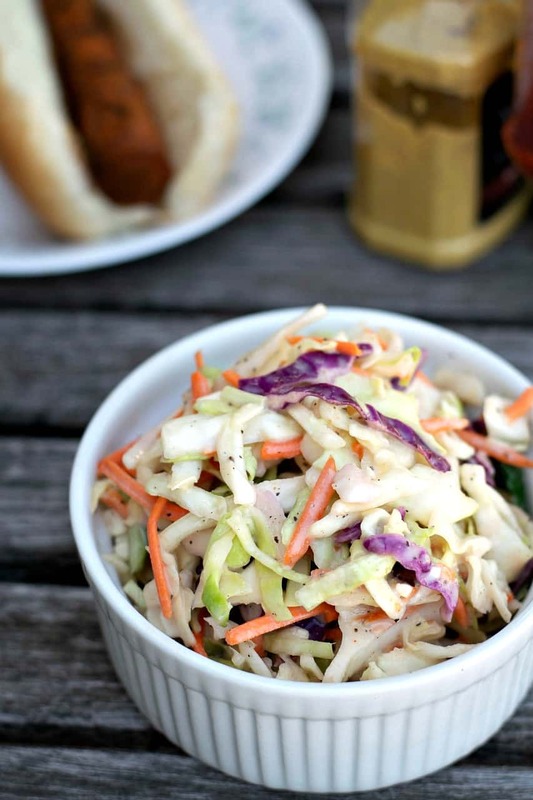 Especially an amazing Creamy Vegan Coleslaw to pile on top of an awesome BBQ Sandwich? One without a lot of fat or mayonnaise? Well, your wish has just been granted. THIS is the Vegan Coleslaw for you. What’s the secret? Why the sauce of course. I see that many Vegan Coleslaws out there are based on using some sort of Vegan Mayo. Now while I’m sure they taste really good, they are full of oil (fat) – and that is simply NOT a good option for me. No, I wanted something different. Something more like the sweeter Coleslaw recipes I remember from living in Texas. A little bit of fat – but not too much. A little bit of twang – but not too much. And a little bit of sweetness …… but not too much. And then I found my answer sitting on the grocery store shelf. Yep – yogurt. It’s already the perfect consistency and adds just enough twang to make this Coleslaw really taste amazing. I added just a touch of Vinegar and Sweetener to flavor it up, and I have to tell you…. this is really GOOD. Now in my store (part of the Kroger chain), they have two different types of non-dairy Yogurts. Kite Hill – which is based on Almond Milk, and Forager’s Cashewgurt which is obviously based on cashews. I used the Cashewgurt and like I said – it was amazing. If you can’t find either of these in your store, I’m sure Trader Joes or Whole Foods will have something if you’re lucky enough to have one nearby. So….got a picnic or BBQ coming up? You’re going to want to give this one a try. Let’s start with the dressing. This will make just enough dressing to mix in nicely with one of those pre-cut bags of Coleslaw Mix you see in the stores. Those are usually about 12-14 oz bags. If you want to chop your own cabbage, I would use a combination of Green Cabbage, Red Cabbage, and shredded Carrot. Enough to make about 6-7 cups. (maybe 5 cups green, ½ cup red, ½ carrot….something like that). But like I said – you can easily find the bags of organic Coleslaw mix in the salad section of your produce aisle. Mix that all up together and let it rest, covered, in your fridge for at least an hour. Obviously the longer you let it sit, the more time it will have to marry all of those flavors together. When you’re ready to serve, give it a good mix and you’re good to go. 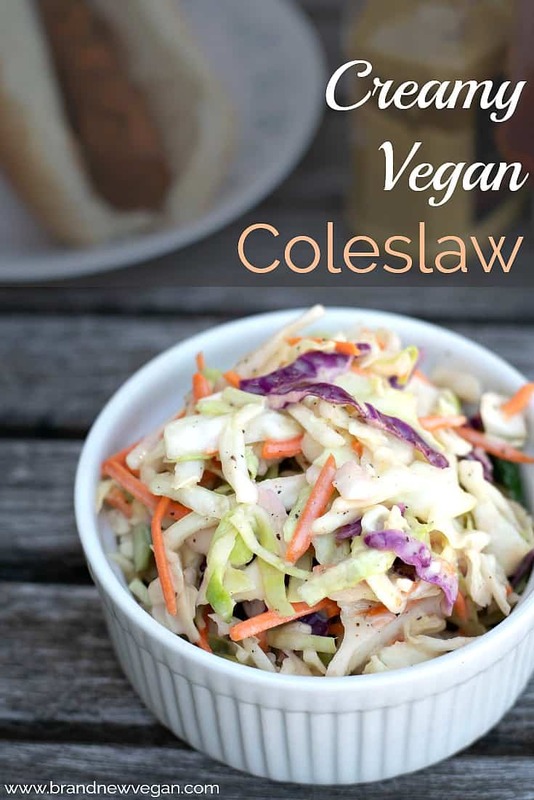 Hope you like this very simple Vegan Coleslaw as much as I do, and leave those comments if you do. Until next week – happy BBQ! 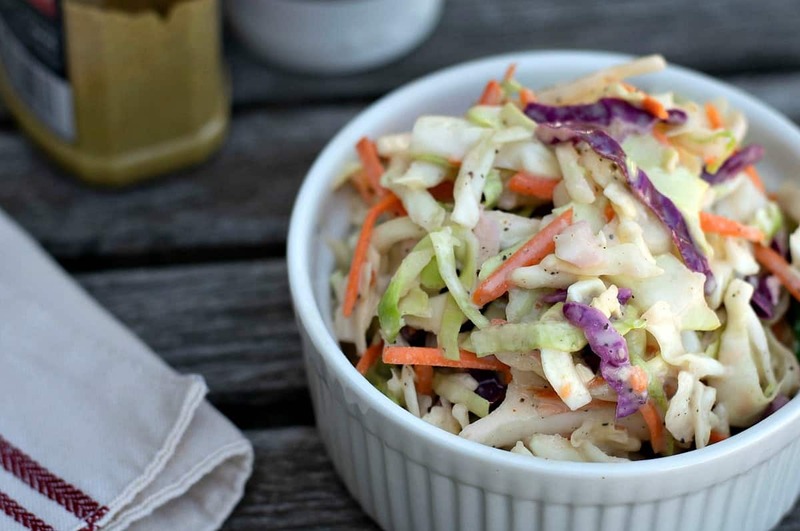 A low-fat, Creamy Vegan Coleslaw that will be perfect for that backyard BBQ or summer picnic. No dairy, no tofu, no mayo. Whisk remaining dressing ingredients until smooth and pour into coleslaw. Mix well and rest 1 hr before serving. 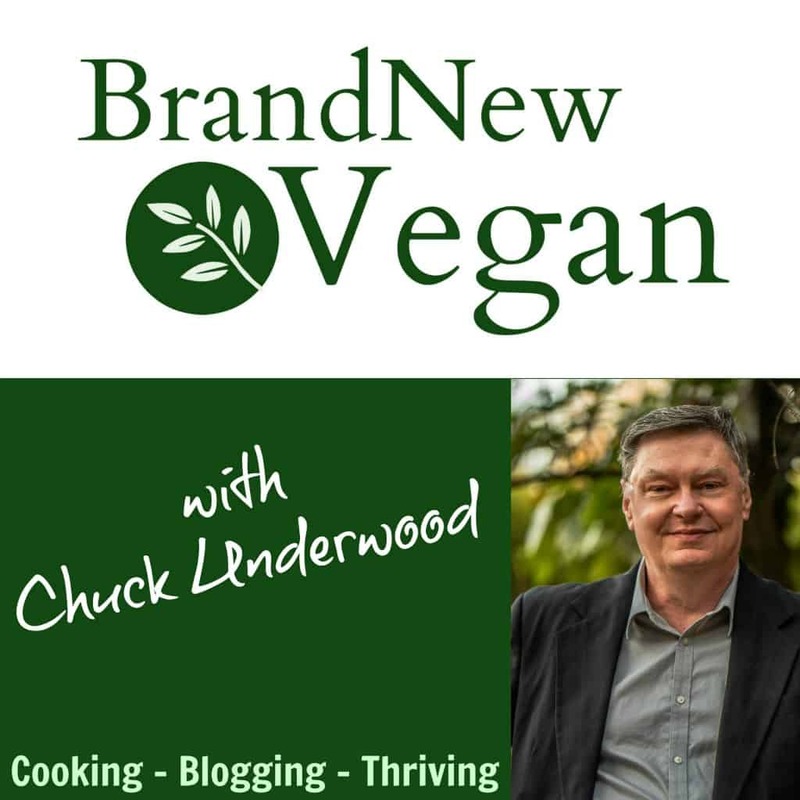 Seriously, using non-dairy yogurt has been my go-to way to make coleslaw for a while now. I don’t use the mustard in mine, but do like to use the lemon flavored yogurt, Unsweetened works too, I add a little stevia (hubby’s diabetic) in it…it works! So, while I haven’t used your specific recipe, I can attest to the fact it is the best for making coleslaw. In fact, had some over the weekend made this way, and if you haven’t tried the CHIP Program version of coleslaw, with the purple cabbage, matchstick carrots, red peppers, parsley and pineapple (yep! Delicious!!!) I urge you to try it too…made it this weekend minus their dressing and using one like yours…so good!!! Blessings! What is the CHIP program and is the recipe available online somewhere? Pineapple sounds good, with Chuck’s dressing should be really good. Really good! Just made this and added some slivered almonds apples and a few raisins. Loved it! Very versatile recipe. Hi, thanks for all your wonderful recipes ! I’m going to make the coleslaw again tomorrow and I think it needs some more spices . Love using the yogurt but I was wondering if you can think of any other spices that would work well to jazz it up a bit ( since you’re such a master at creating recipes)! Just made this for the second time and it’s perfect. Is fantastic on top of hash browns or baked potatoes. Thanks for the great recipe! And I can even find plant based yogurt at my local Publix. Very handy. I loved this recipe! I made it with homemade soy yogurt, made in the instant pot. It was a little too hot for me, so I’m going to put half as much pepper in it next time. Thanks! All I have in the fridge is no ln-dairy vanilla yogurt. Would that flavor work? I’m thinking no….. the vanilla would be weird I think.